Driven by its commitment towards supporting social and cultural activities organised by establishments of both the public and private sectors in Bahrain, Zayani Motors participated in the recently-concluded first Japanese Village activity, which was inaugurated under the patronage of Southern Governorate Governor HH Shaikh Khalifa bin Ali bin Khalifa Al Khalifa at Bahrain International Circuit (BIC). Jointly organised by the Southern Governorate, the Bahrain-Japanese Friendship Society and the BIC, the event attracted over 30, 000 visitors from the Kingdom of Bahrain and beyond. 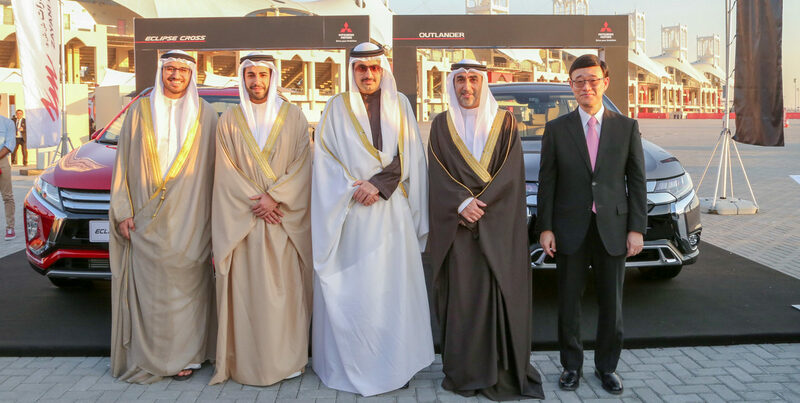 Being Bahrain’s exclusive distributor of one of the leading Japanese automobile brands in the world, Mitsuibishi, Zayani Motors was keen to take part in the first ever Bahraini-Japanese expo that is held on the island. A special corner was allocated to display some of the company’s most distinguished Mitsubishi models; the Eclipse Cross and the Outlander, promoting the brand among thousands of visitors and at the same time granting them the opportunity to take a closer peek into the amazing features of the vehicles. Representing the company at the inauguration ceremony of the three-day event were Zayani Motors Managing Director Mr. Majid Al Zayani and Chairman Mr. Nawaf Al Zayani, who expressed their delight in taking part in the expo, which they also stressed on its importance to consolidate relations binding both countries.